Hello my dear friends, It's been a while since I didn't post on my blog but now I'm back to share with you our New Catalogue and a BIG OFFER for you. 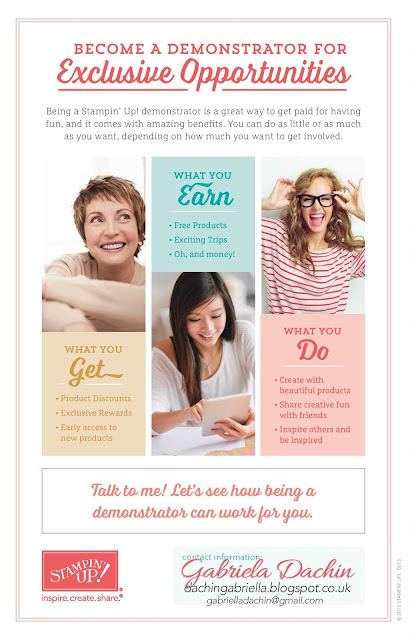 If you want to become a Stampin'Up Demonstrator, now is you time. Which stamps do you get to choose from? That's the best part: you will pick any 2 stamps set from the NEW ANNUAL CATALOGUE! I already created a beautiful card using a new stamp set! so... contact me to Become a Demonstrator or just to talk about new opportunities. 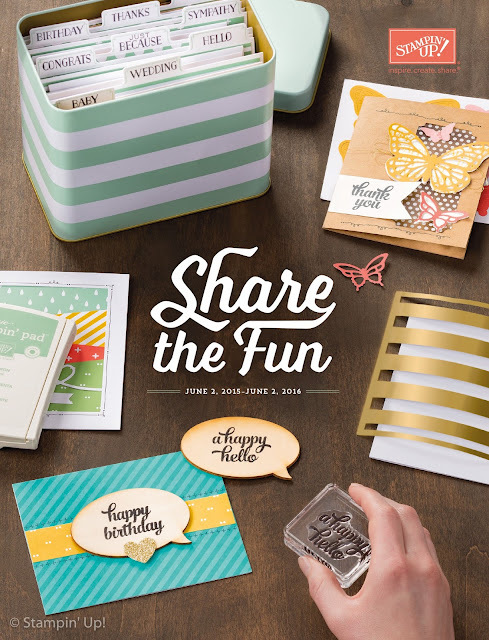 Follow Gabriela's board stampin up on Pinterest.